Once you visit our property, you’ll realize that all cemeteries are not the same. From the moment you drive through our beautifully landscaped front gates, you’ll feel something special. Southern Cremations & Funerals is located on the historic grounds of Cheatham Hill Memorial Park in Marietta. Located adjacent to Kennesaw National Battlefield Park, this historic 50-acre cemetery was established in 1979 as a permanent resting place for the residents of Cobb County and surrounding communities. Nestled among tall Georgia pines, hardwood and crepe myrtle trees on rolling hills, the cemetery is meticulously maintained by our own yard maintenance crew. Now locally owned and operated, we truly delight in ensuring that the park is a beautiful and peaceful refuge for all those that come to visit their loved ones. 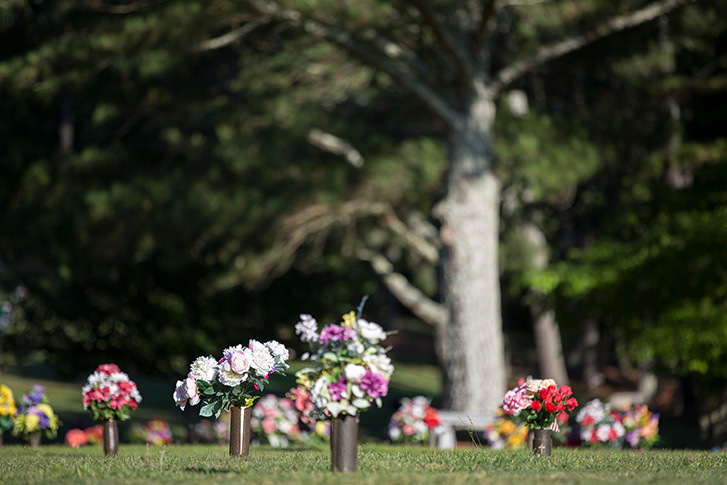 In addition to traditional burial spaces, we offer more memorialization options than any other cemetery in Northern Georgia. 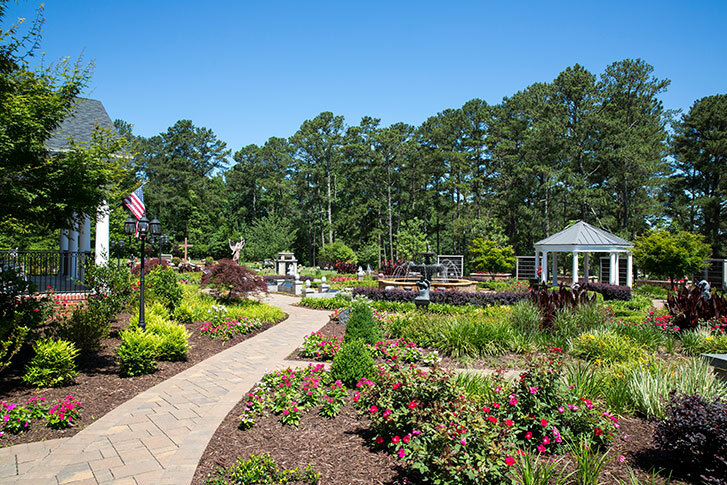 We’ll help you create a legacy for your loved one with options that include two mausoleums, private mausoleums, private estates, Cascading Waters Cremation Garden, outside wall niches, statuary, benches, and an indoor Columbarium with glass-front niches. Cheatham Hill Memorial Park is also a Perpetual Care property, meaning that the grounds will be maintained in perpetuity. Or in other words, maintained well beyond our lives and into the future. Tradition and honor is important to us as a company and to our families. We take special care in helping our families celebrate special holidays like Mother’s Day, Veteran’s Day, Memorial Day and Christmas. With the help of Boy Scouts and other youth community groups, an American flag is placed at the graveside or niche of every veteran for Veteran’s Day. Our Christmas Luminary is always held the first Saturday of December, where a lighted candle is placed at each grave or niche. It’s a beautiful sight to see hundreds of candles glowing in the dark, and along with our musical program, it’s a great way to remember those we love during the holidays. We invite you to schedule a tour of the property by calling (770) 424-1111 and view all our beautiful options in person.